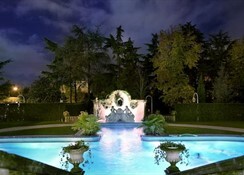 The 5-star Abano Ritz Hotel & Spa welcomes you to Abano Terme in the province of Padua, north-eastern Italy, renowned for its hot thermal springs and easy access to Venice and other cities of cultural and architectural interest. 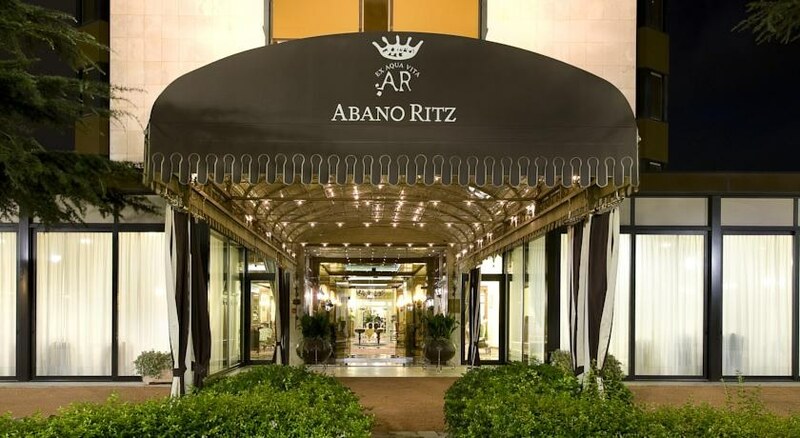 There are 140 elegant rooms available at the Abano Ritz Hotel & Spa to cater for a variety of occupancy needs, and a wealth of services and facilities to pamper you on your relaxing break. A fine choice of dining throughout the day, various relaxation lounges which range from hosting lively entertainment, casual TV watching to quiet reading. The super Spa Centre treats you to indoor and outdoor thermal pools, spa facilities, fitness challenges, exercise classes and beauty and therapy treatments; before you even embark on external recreational sports activities available. Enjoy some quality time to refresh your spirits and book into the 5-star Abano Ritz Hotel & Spa at Abano Terme, Italy; you won't regret it! Getting to the hotel: 60km from Venice Marco Polo International Airport; 70km from Treviso international Airport and 80km from Verona International Airport. 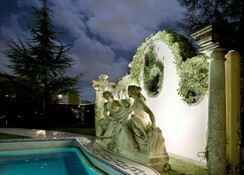 Local tips: Nearest railway stations are Terme Euganee – Montegrotto or Padua: and then a 30-minute bus ride. 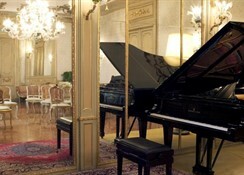 Attractions include: the Euganean Hills and its regional park; Venice; cities of Padova, Verona and Treviso. 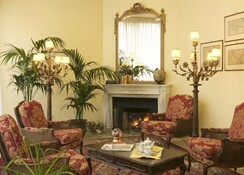 Food, drink and entertainment: A rich breakfast buffet is served in the breakfast room or on the terrace; there is a fine-dining restaurant offering international cuisine influenced by regional dishes and fine wines; a BBQ lunch service; herbal teas, pastries and cakes available in the afternoons; a music room; Midnight Club serves cocktails and beverages; satellite TV room, lounge with open fire; a smoking room; and a reading room. 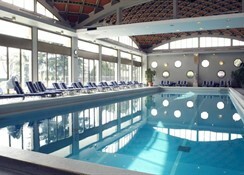 Sport, games and activities: Spa Centre offers outdoor thermal swimming pool and solarium with comfortable seating, indoor thermal pool, hydro-relax pool and bathtubs, thermal steam and Turkish bath sauna, AquaGym and/or AquaWellness, relaxing cradles in the garden and a relaxation area, a 'Technogym' fitness centre with professional instructors and exercise classes; a Beauty & Therapy Centre with a range of treatments available; gardens; billiards; games room; discounted green fees and booking assistance at nearby golf course. Hiking and cycling trails and recreational sports available. For the kids: Babysitting service available. Additional: 24 hour Reception Services, housekeeping, multilingual staff, Concierge service, WiFi internet access, internet/fax/office corner (charge), tour & excursions desk, ticket service, currency exchange, 24 hour medical centre, room service, wardrobe, laundry & ironing service, meeting rooms, car rental, bicycles available, personal shoppers (on request & chargeable), facilities for guests with restricted mobility, 3 lifts, safe boxes, luggage storage, chargeable indoor parking and free open air parking available. Guest rooms enjoy a décor of pre-dominantly blue and golden-yellow hues, drapes and fabrics to complement with rich patterned tones, attractive room accessories, dark wood furnishings on carpeted flooring and modern amenities for your well-being; features include a private veranda, natural air change and small mobile air-conditioning unit, thermal water heating, private bathroom of a honey-beige colour with bathtub and/or shower, double sink, hair dryer and cosmetic mirror, free WiFi internet, satellite TV, telephone, mini fridge, desk and seating and a safe box.